STEQ America is proud to present the Speedy Glove automatic glove tester for integrity testing in nuclear medicine and isolation technology. 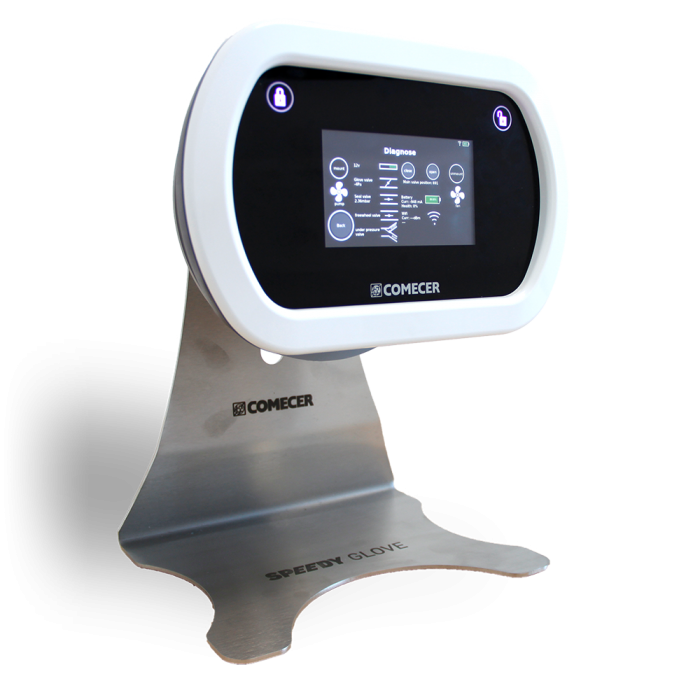 Speedy Glove is a battery-powered glove tester that performs leak testing on gloves installed in isolators or RABS where a strict separation between the isolated area and the external environment is required. The system performs pressure decay integrity tests that comply with the requirements of ISO 14644-7 Annex E.5. This innovative system is suitable for all isolators equipped with glove flange such as those dedicated to aseptic processes, the manipulation of API and HAPI and the manipulation of radiopharmaceuticals. Speedy Glove is compatible with all currently available glove flanges in the industry. It’s “speedy” because it tests gloves 30% faster than other leading testers on the market. 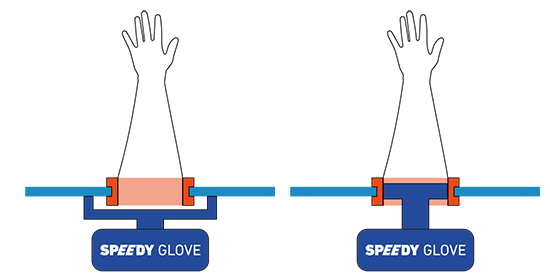 What makes Speedy Glove unique? There are a number of unique and patented features that make the Speedy Glove special when it comes to performance and flexibility. 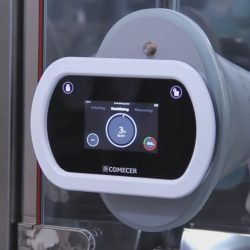 It starts with a unique system of rapid inflation of the glove that fills it with air in a few seconds during the leak test, saving between 3 and 5 minutes on each test (approximately 30% of the total time) compared to the times usually required by similar devices on the market. 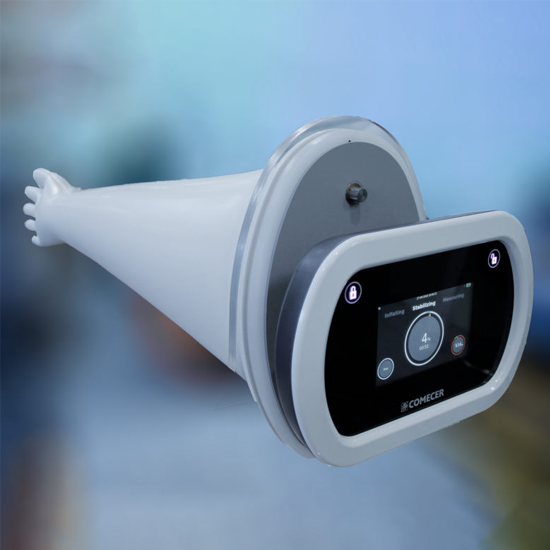 It does not need to be connected to pneumatic circuits or compressed air tanks but can independently manage all the phases of the glove integrity testing process. The system is also compatible with vaporized hydrogen peroxide, meaning it can be completely decontaminated. 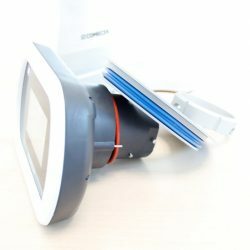 This important feature, together with the extremely compact dimensions, means it can be introduced into the isolator through a pre-chamber, where the gloves to be tested will be present. 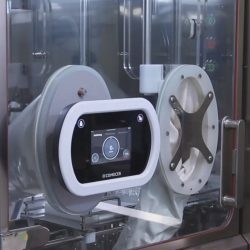 Once inside, it’s possible to activate your glove testing process (with appropriate flanges as arranged in Comecer isolators), whereby the gloves are inflated from the inside outwards. For the first time in the industry, Comecer’s concept of Over-Port testing is introduced in parallel with the classic In-Port test that makes it possible to test not only the integrity of the glove but also the entire mounting flange on which the glove is connected.